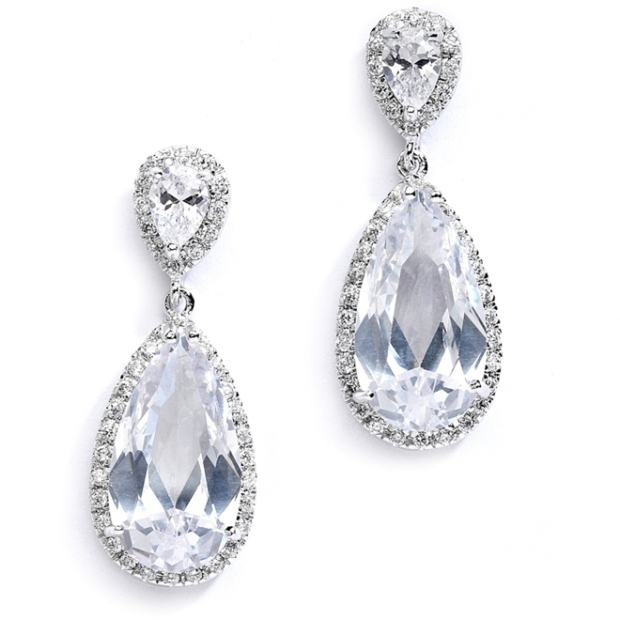 * The highlight of these 1 1/2" h x 5/8" w Cubic Zirconia wedding earrings are the bold elongated pear shaped drops which add a unique design to our bridal earrings. * Brilliant CZ's & Genuine Silver Rhodium offer the look of real diamond & platinum jewelry. * These dramatic wholesale wedding earrings by Mariell dazzle with AAA quality brilliant Cubic Zirconia stones framed in pave CZ. 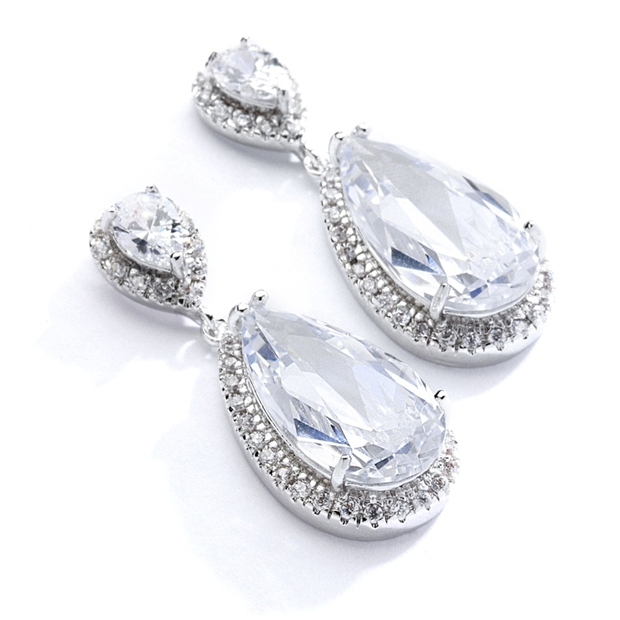 * These genuine Rhodium plated earrings feature ravishing elongated pear shaped drops which offer a unique version of a true bridal classic. * The top of these earrings feature a baby pear shaped stone detailed with pave CZ's for an intricate style seen only in fine diamonds and platinum! * Enhance your wholesale jewelry display with these unique wedding or mother of the bride earrings and we guarantee you will have a new best-seller!